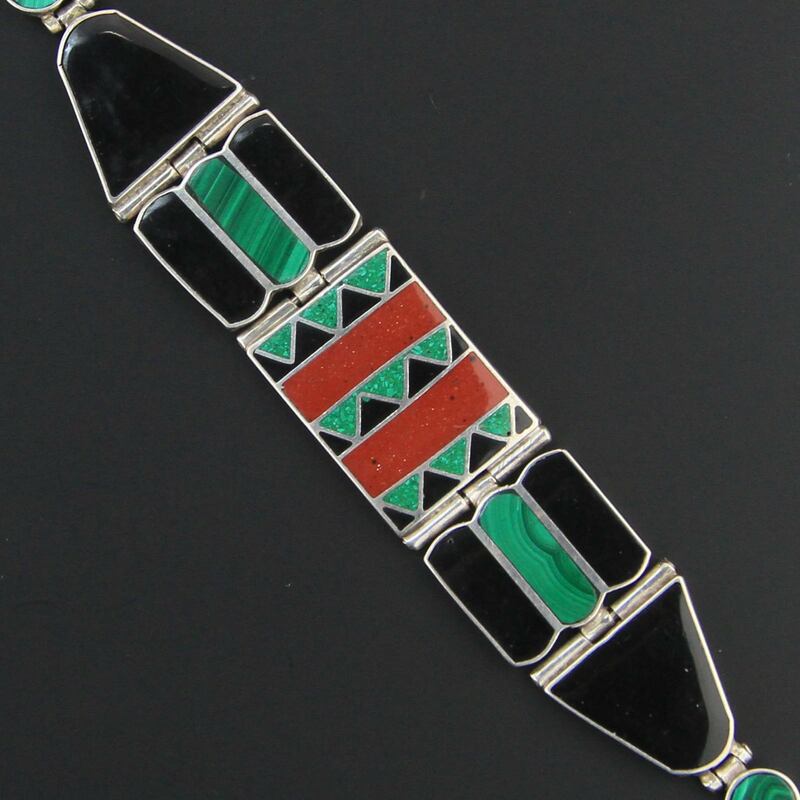 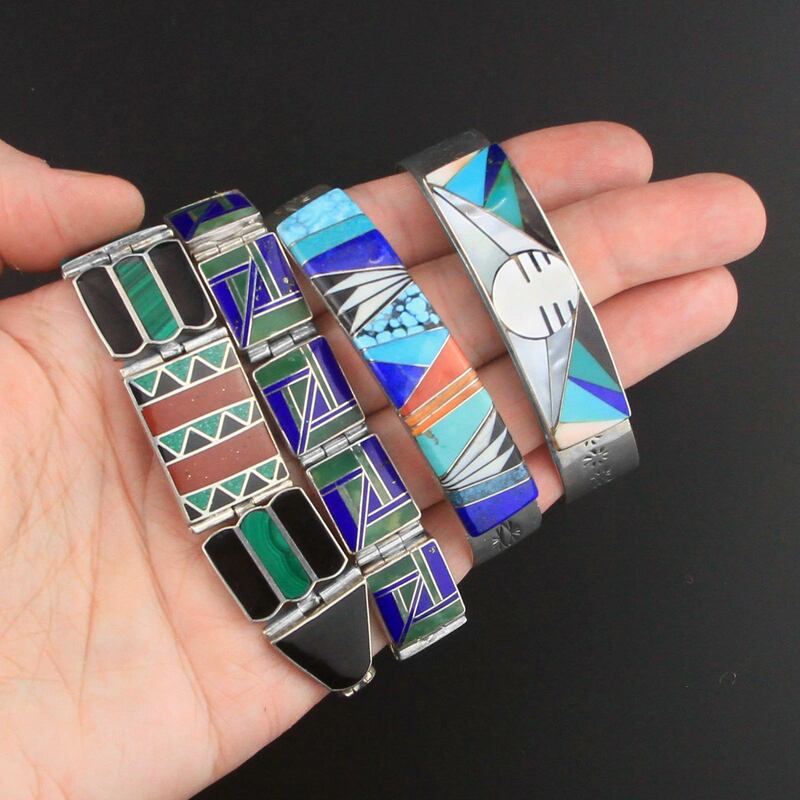 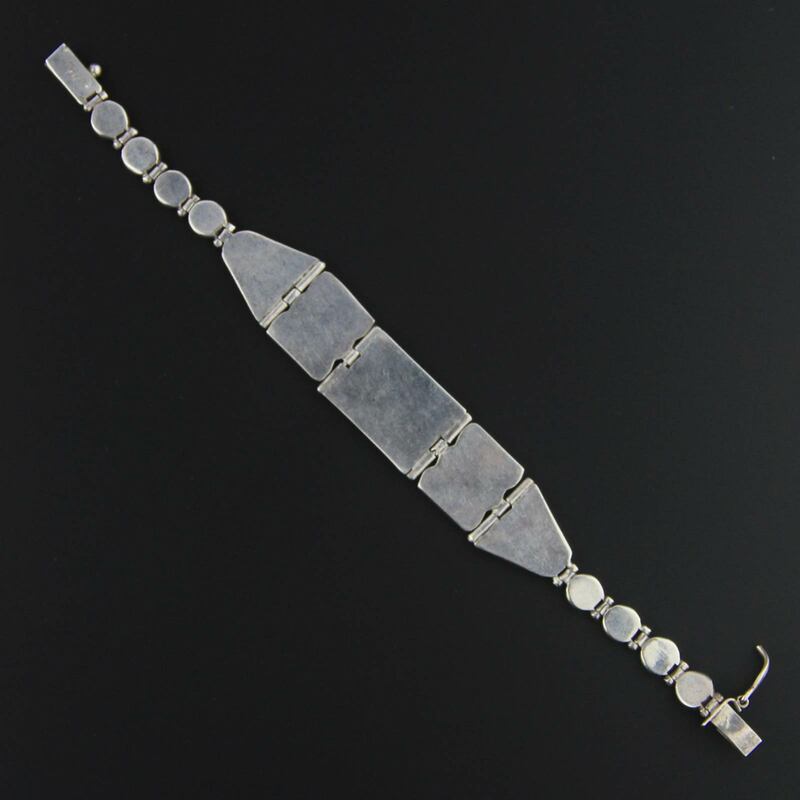 Beautiful handmade c1970s - 80's Southwest inlay bracelet. 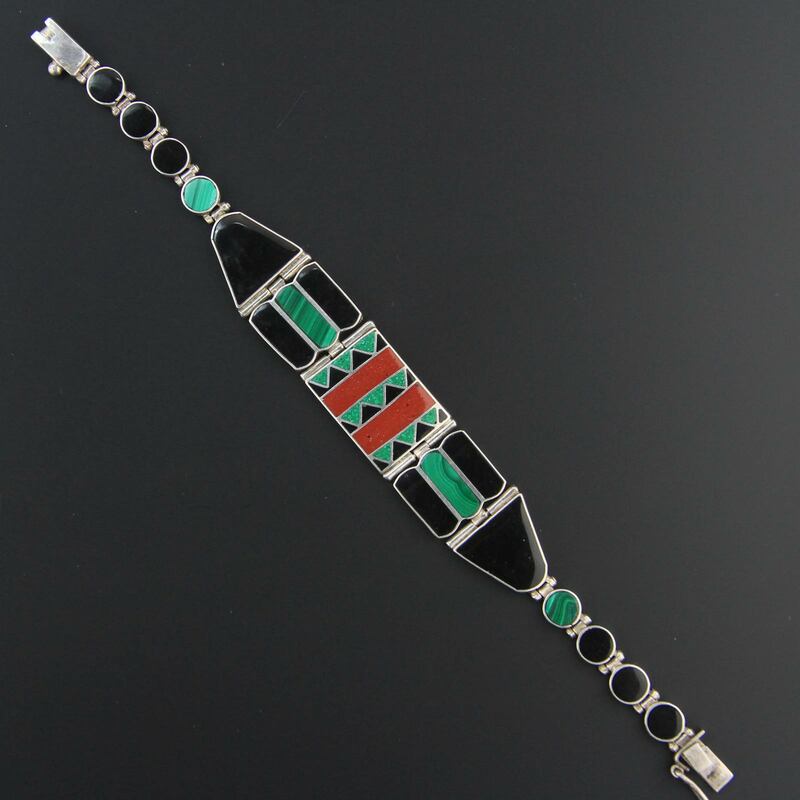 Wide statement bracelet with striking design, inlaid Malachite, Onyx and Goldstone with a turquoise chip in resin centre in higher than sterling 950 silver. 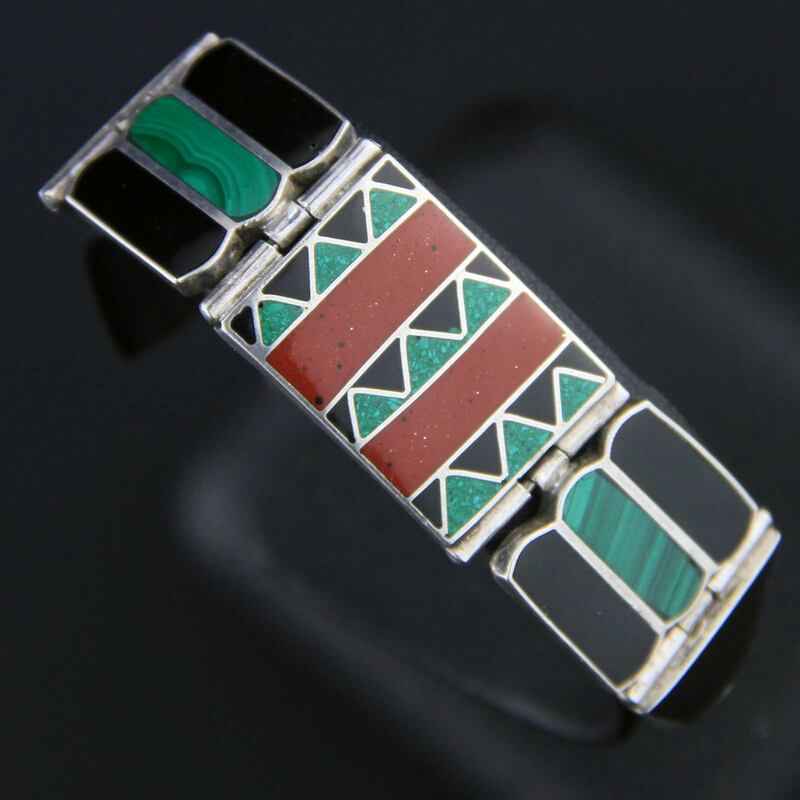 Box clasp with safely clasp, at 20 grams it is light and comfortable to wear.